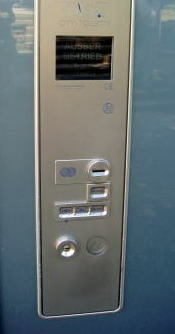 to regulate the temperature of the rooms. 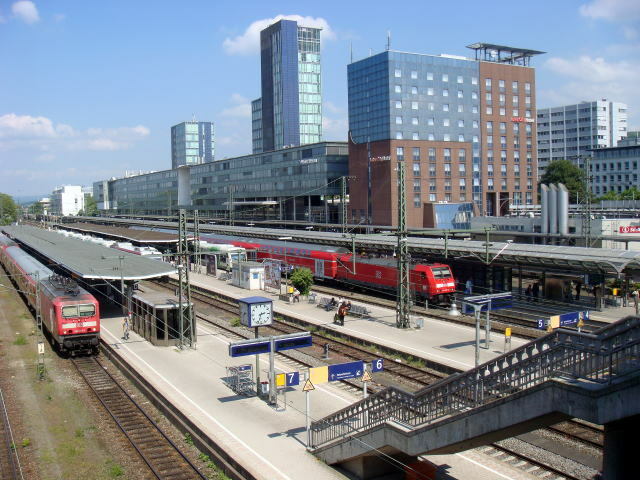 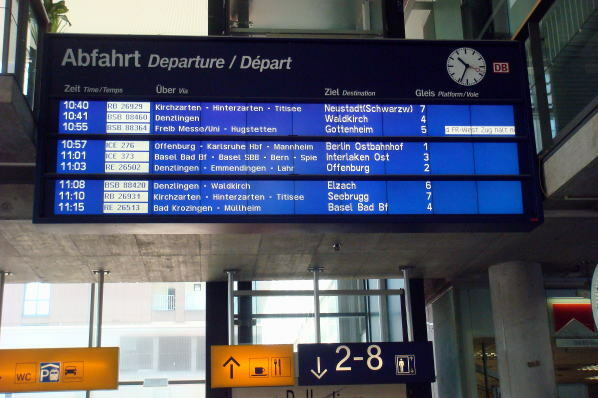 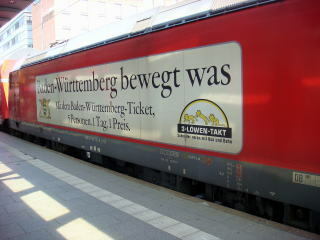 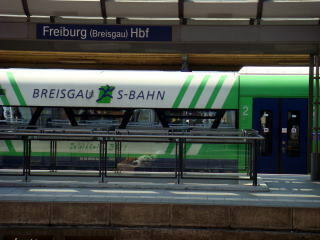 A frequent fast train service is available to Berlin, Basel and Interlaken Ost stations. 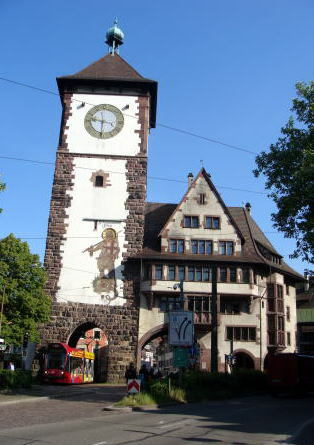 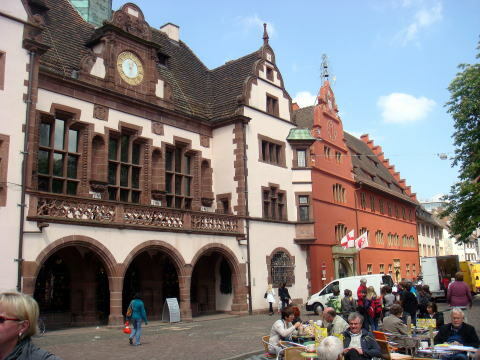 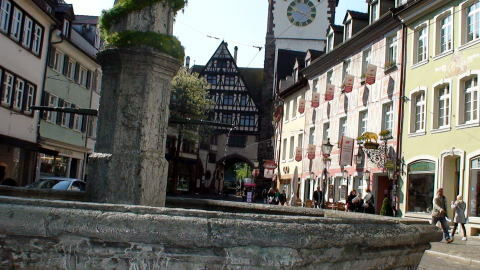 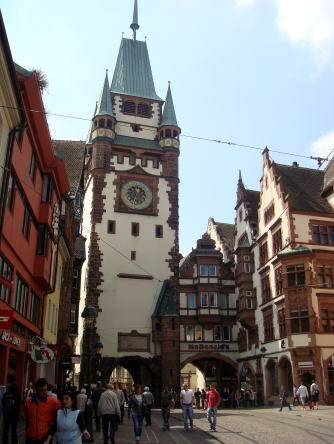 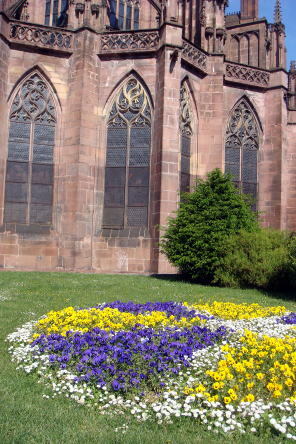 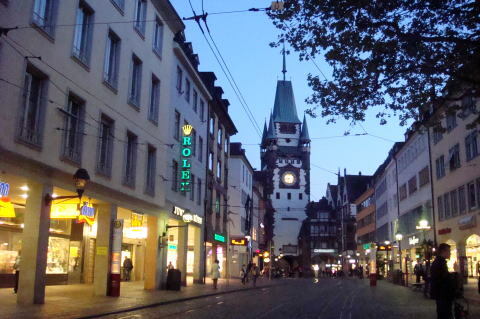 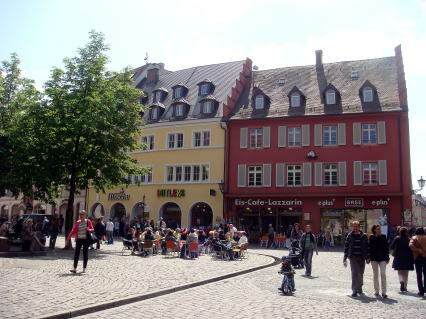 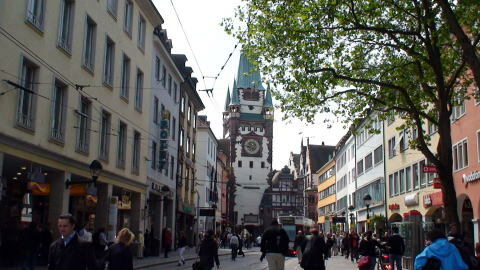 Freiburg has an extensive pedestrian zone in the city centre where no automobiles are allowed. 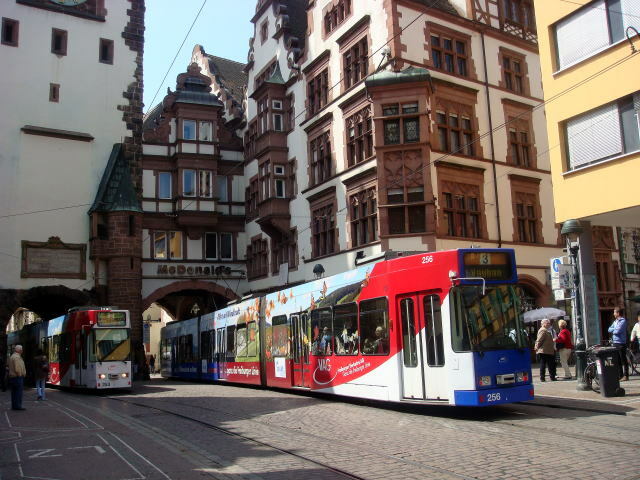 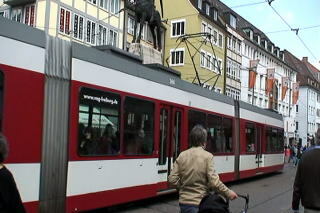 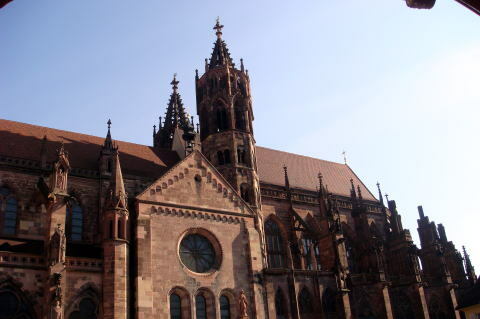 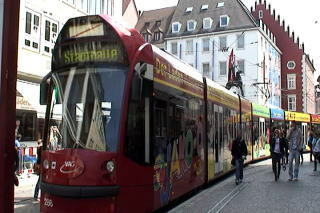 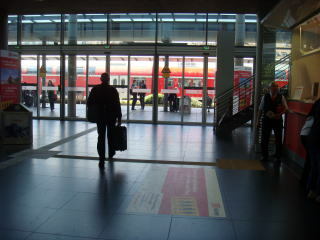 Freiburg also has an excellent public transit system, operated by the city-owned VAG-Freiburg. 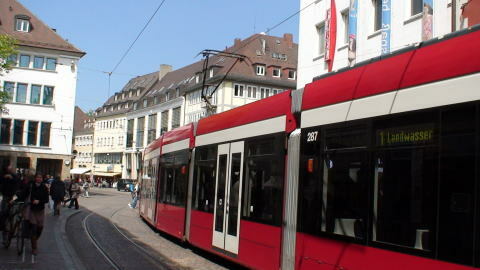 This is anchored by a continually expanding web of tram routes, together with feeder buses. 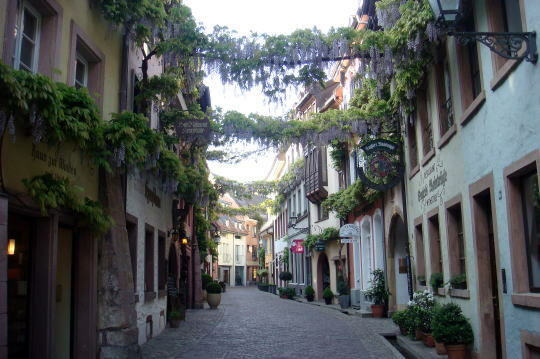 (R) Wistaria vine between the houses in Freiburg. 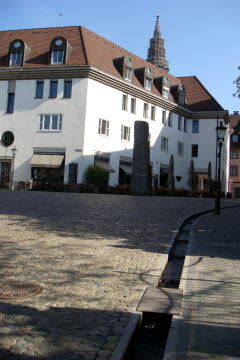 Bachle is observed in the corner of a stone-paved road. 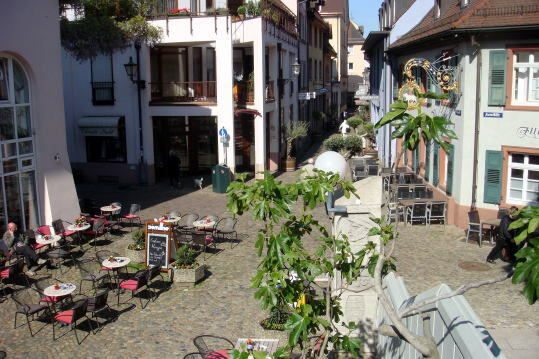 Bachle and small river provide a tranquil lifestyle in Strasbourg. 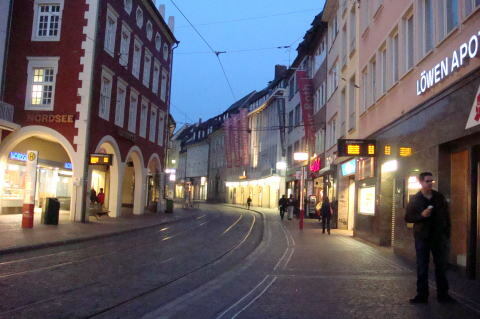 (L) A busy street turned to a quiet town after dark. 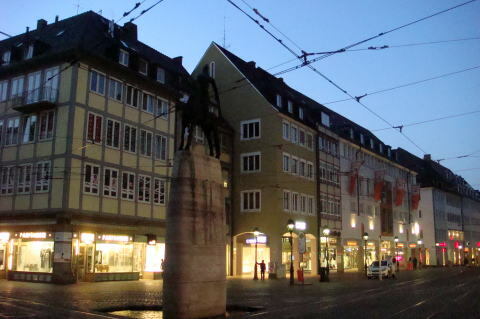 (R) The Zahringen dynasty stature viewed at night. 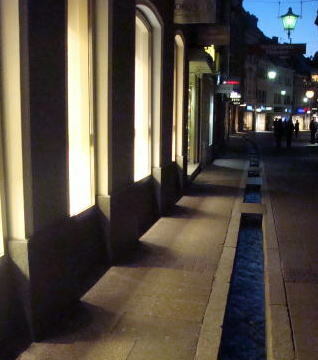 water provides natural cooling of the air, and offers a pleasant, gurgling sound. 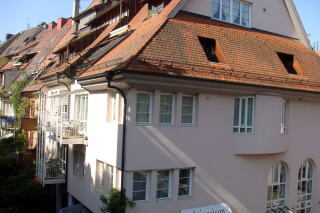 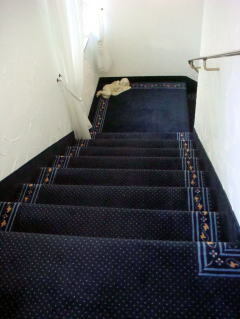 Hotel Victoria in Freiburg has a total of 66 rooms/all are no-smoking rooms. 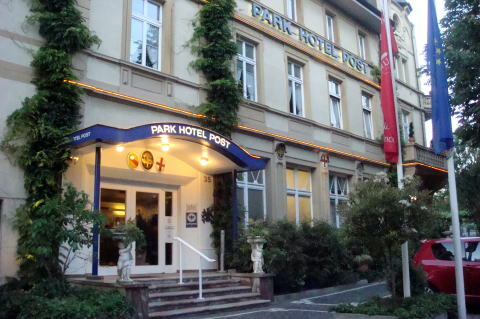 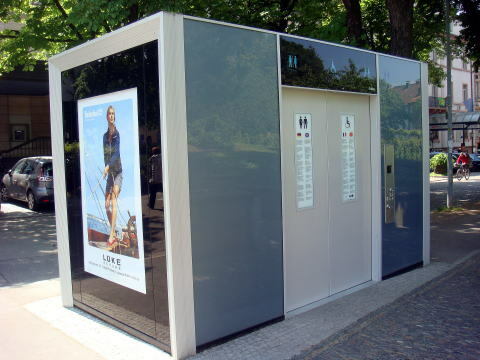 The total number of guest rooms in Park Hotel Postthe is 45/all are no-smoking rooms. 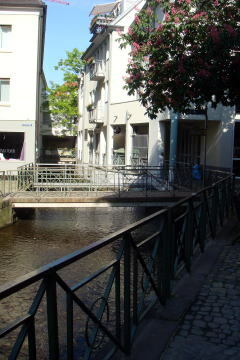 It is a compact, but elegant hotel. 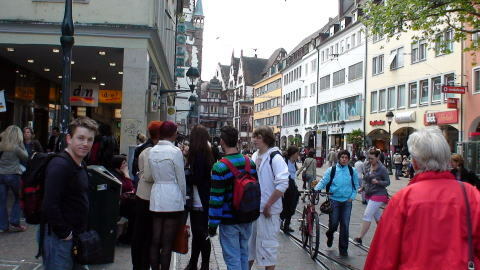 A staff is friendly. 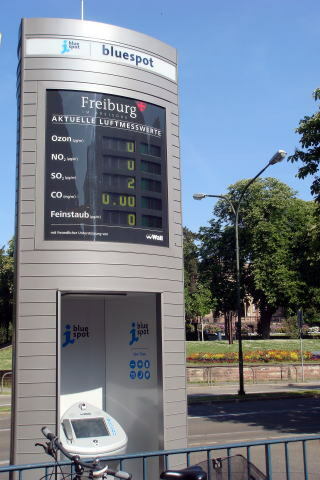 the percentage to the total is 26.5%. 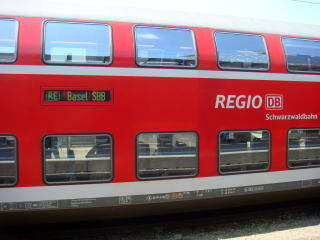 Both Deutch Bahn and Breisgau S-Bahn provides a regional train service.